The aim of this exercise was to explore how to navigate the city in a zero technology way by relaying more on your intuitive scenes. So there of us set out to find a park near by called ghandi park.. we know more or else were it this, but we didn’t know it’s exact direction. so we set out everyone went it’s own way. 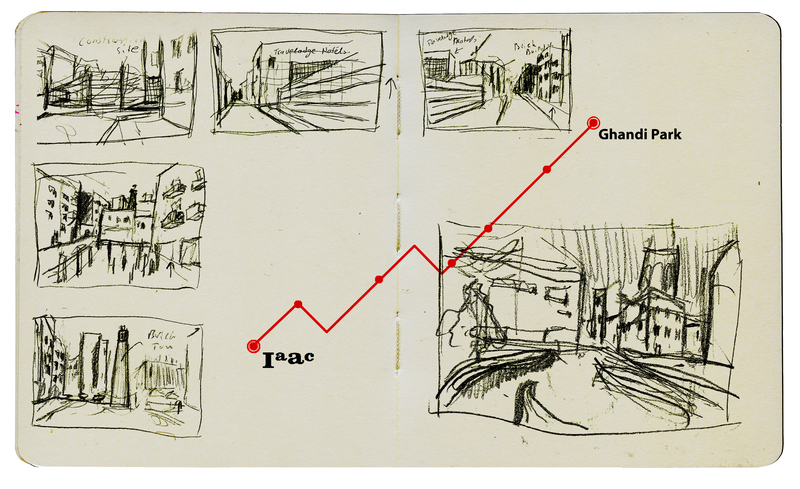 On my way to finding ghandi park i start drawing quick sketches of urben landscape which influenced my orientation. So once there was a construction site so I had to take a turn. This exploration lead me to many unexpected places.